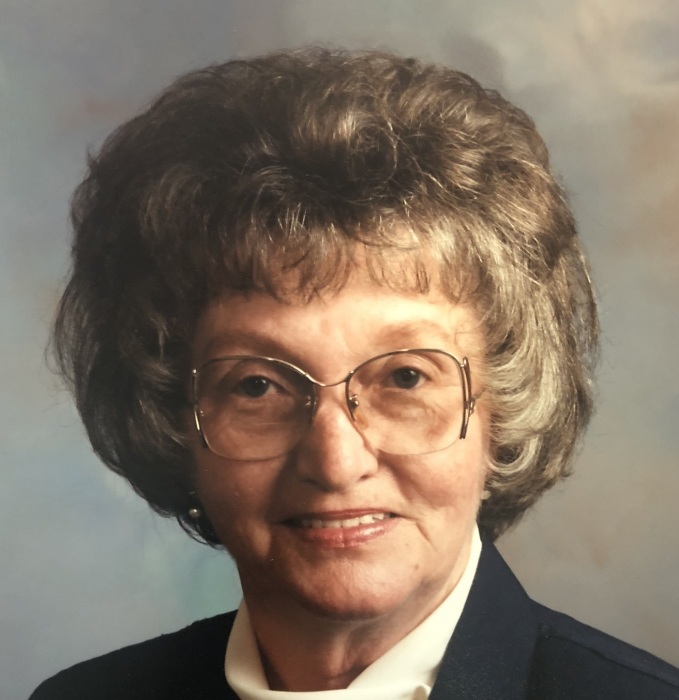 Dorothy “Dot” Elizabeth Reavis Fite of Landis passed away Saturday, April 13, 2019. She was born May 24, 1928 to the late Lottie Denny Meek and Eugene Reavis. Dot graduated from Evans College of Commerce in 1959 and was employed with Linn-Corriher Mills for over 46 years, where she retired as the payroll manager in 1990. She attended Trinity Lutheran Church in Landis. While her health permitted, she enjoyed visiting Holden Beach where she loved to walk the beach and look for seashells. She also enjoyed knitting and cooking and created a binder with the many recipes she enjoyed making. Christmas Eve was always a treat with the many things she enjoyed cooking. She was an avid reader and continued to enjoy her audio books after losing her vision. In addition to her parents, she was preceded in death by her husband of 53 years, Quincy Abernathy “Buck” Fite, Jr.
Left to cherish her memory are her daughter, Judy A. Corriher (Virgil); son, Ronald D. Fite (Jamie); brother, Jack Reavis; three grandchildren and four great-grandchildren. The family would like to thank all of the staff at Best of Care for their kind and caring service. A graveside service will be held at West Lawn Memorial Park in China Grove, NC at a later date. Memorials may be made to Sacred Heart Catholic School, Angel Fund, 375 Lumen Christi Lane, Salisbury, NC 28147 or the donor’s choice. Lyerly Funeral Home is serving the Fite family. Online condolences may be made at www.lyerlyfuneralhome.com.